THREDBO NSW AUSTRALIA 24th March. THREDBO 24th March. 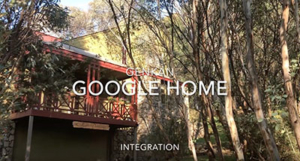 Australian technology developer Genkan Pty Ltd today announced that it is working with Snowy Mountains property manager Discover Thredbo on technologies that deliver energy efficiency and cost savings for property managers and environmental benefits for Thredbo in Australia’s Snowy Mountains. 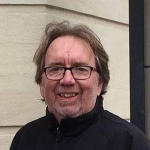 Glenn Smith, CEO of GENKAN, has used the first months of 2019 to test new technologies that will reduce energy costs, many of which are caused by the indiscriminate operation of heating and lighting in holiday rental properties in the ski resort. “Everyone is talking about rising energy costs and renewable energy, but few are promoting programs that actually reduce energy consumption” said Mr Smith. To bring greater attention to the issue we have created a Youtube to highlight the issues. Since January, Discover Thredbo and GENKAN have undertaken research in two key areas. There has been solid testing and evaluation of a range of different smart home technologies, power points, light switches, thermostats, motion sensors, Google home as well as bridges and other smart home devices. “These are exciting developments in technology and GENKAN wants to use the best in our business of helping property managers across Australia,” Mr Smith said. 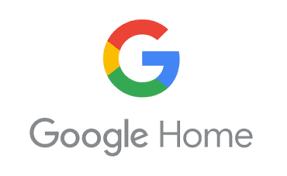 Simultaneously, GENKAN programmers have been busy developing the API connection between Google Home and GENKAN. GENKAN will play the key role in this development, as it will be able to create intelligent schedules that control the smart devices to reduce operation costs revolving around property occupation and even weather events. More testing will take place during the 2019 winter in the Snowy Mountains. During this snow season, GENKAN will continue to refine the Google Home API interface. The partnership plans to launch the technology towards the end of the year in readiness for summer. Mr Smith observed about the new technologies, “What we know is that the needs and requirements of Smart Home technologies for residential and holiday rental uses are totally different. Residential home technologies are generally about ‘kitchy’ and techno functions such as having your air conditioning automatically turn on and off depending upon your location, or being able to open and close blinds from your mobile. Holiday Rental Management is mostly about cost reduction and controlling the wasteful use of energy at times when it’s just not required. Security and other elements of smart technologies are secondary. GENKAN is an Australian company delivering innovative property management software for holiday rental management companies around the globe. Discover Thredbo is Thredbo’s largest individual manager of self-contained properties in Thredbo and have been in operation since 2001. The company pioneered accommodation for rent via the internet in the snowy mountains and leads the way in the presentation of our properties online at our various websites with the ability to check availability and pricing, book and pay.